reSITE in cooperation with the Architectural Institute in Prague (ARCHIP) has announced the second annual international design workshop in the City of Prague, dPAV. The workshop will be a 2.5 – day intensive and collaborative investigation to compete to design the future reSITE pavilion to be used in urban design festivals around Central and Eastern Europe. In order to support a unique cultural collaboration, the envisioned reSITE pavilion should be a product of an international and interdisciplinary design workshop. The workshop will be led by globally-renown structural engineer, Cecil Balmond, the former deputy chairman of ARUP Engineers who now leads Balmond Studio in London and a lead designer Tyson Hosmer. It will take place during reSITE festival from 21 – 23 June 2013. 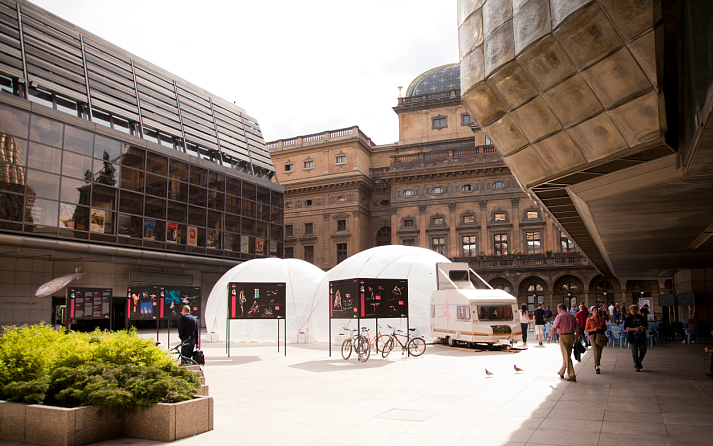 Selected participants will gather in Prague to create a concept design of the future reSITE pavilion. A distinguished jury composed of renowned architects such as Maria Aiolova (Terreform One, NYC), Alexandros Washburn (Chief of Urban Design, NYC Planning, NYC), engineers and artists like David Cerny from Prague will select the winning proposal after a public presentation by the design teams. To view the competition brief click HERE.